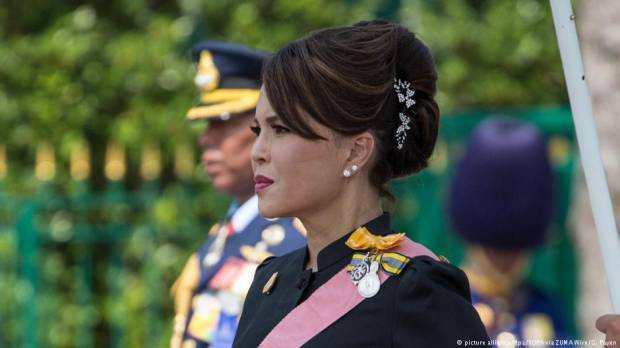 The 67-year-old princess's shock announcement on Friday drew an almost immediate rebuke from her younger brother, King Maha Vajiralongkorn. Also know as Ubol Ratana, the princess renounced her royal titles when she married a US citizen in 1972, but was given them back after her divorce and return to Thailand in the late 1990s. The king called his sister's candidacy "inappropriate...and unconstitutional" saying members of the royal family should not run for office. The princess is running for the populist Thai Raksa Chart party, loyal to ousted ex-premiers Thaksin Shinawatra and Yingluck Shinawatra. The vote will be the first since Yingluck was ousted in a March 2014 military coup. The current junta leader, Prayuth Chan-ocha, has also declared candidacy for a pro-military party. The Electoral Commission hinted that it would consider banning the Thai Raksa Chart party. The commission is likely to follow the wishes of the monarch, who holds a semi-divine place in Thai society. Thaksin has lived in self-imposed exile in England since he was deposed. In 2008, he was found guilty of corruption in absentia. His sister Yingluck is also rumored to be in London, having been found guilty in absentia of abuse of power.